ART - just do it! 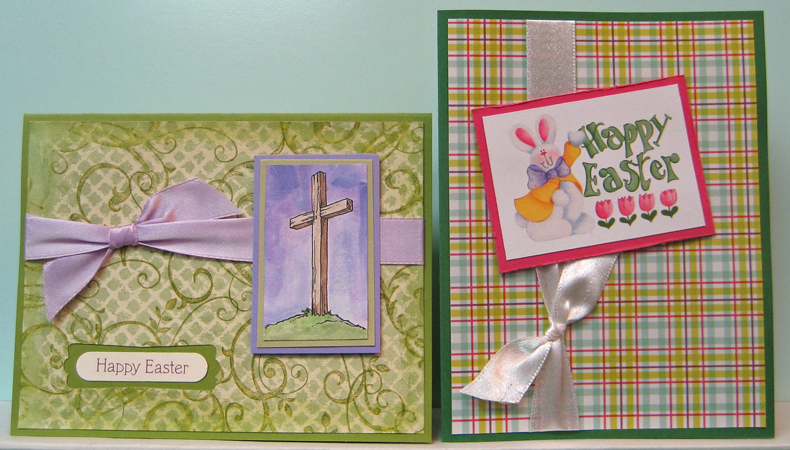 : A few more Easter cards!! I am still making Easter cards!! These two combine decorative paper, ribbon and a focal element!! For the first one, I used a hand decorated piece of paper which features wax resist, watercolour and for green flourish stamping. I trimmed it and sponged the edges, dded a length of lilac ribbon and punched a hole (SU) for my greeting before adhering it to a green card front. 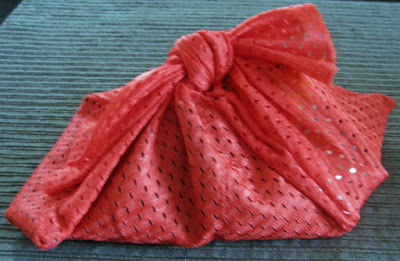 I tied on another short piece to simulate a bow!! I watercoloured the laser printed image which I trimmed to help the cross feel like it is more upright. I layered it onto green and then onto purple to create my focal element. I used 3D foam tape to adhere it to my card front over the ribbon. I added a laser printed greeting from my stash in the hole I created in the background paper which allows the green from the card to nicely highlight the greeting. For my second card I used a laser printed digital greeting/image (Pixabay) which I trimmed to size, layered onto dark pink and then distressed the edges using my distress tool. I found this background paper in my stash which nicely reflects the pink I used and the colours in the greeting. I added a length of ribbon to it before adhering it to a green card front. I mounted my focal element to the card using 3D foam tape and tied a short piece of the same ribbon to the one on the front to simulate a bow. I like this cute little bunny image and it makes a cute Easter card!! Pretty much the same sketch and technique which yields to very different cards because of the supplies I used! !